The promotional product industry continues to move closer to the latest trends. The hottest style water bottle on the market! These are high end, fashionable bottles that keep liquids really hot or cold for an amazing period of time. At Panda Imprinting and Graphics we now can offer a similar style of bottle that keeps liquid hot/cold for a long period. The plus is you receive the retail look and features at a lower cost. The products becomes your own once your company or organization’s logo is imprinted. These are an outstanding item to give to staff, prospects and clients to help make a lasting impression. 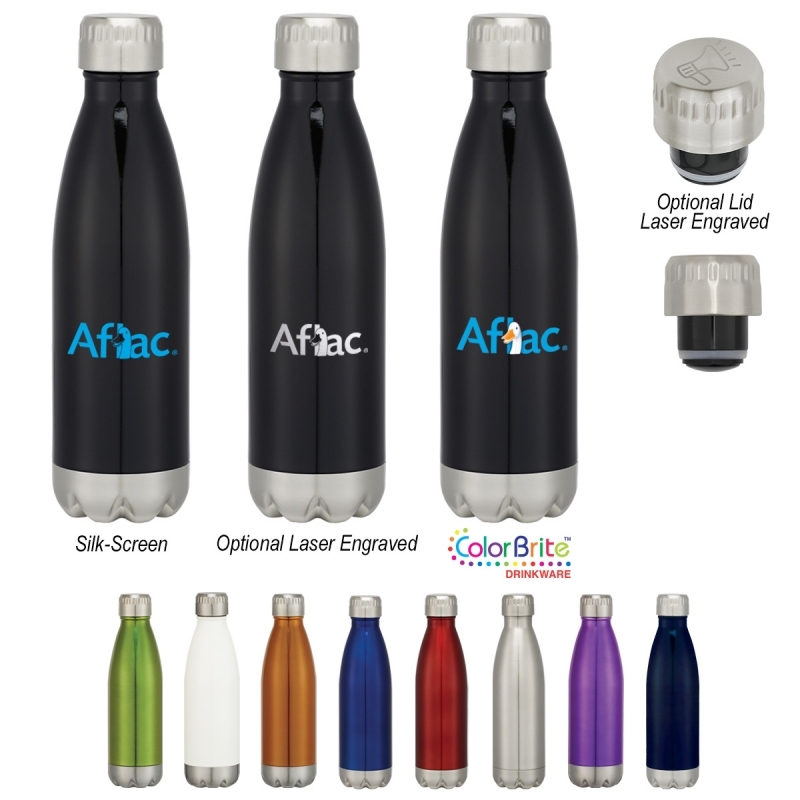 Referred to as the Swig Stainless Steel bottle you can choose different color bottles and imprinting options. The minimum for this product starts at 50 pieces and basic pricing starts at about $18 each! The more you purchase the lower the price! Contact us for a quote !